Private wooded lot in The Reserve. Lots of living space on each level of the home. The first floor consists of a living room, dining room, office, kitchen with island and desk area, eating space, great room with fireplace, sun room and laundry. 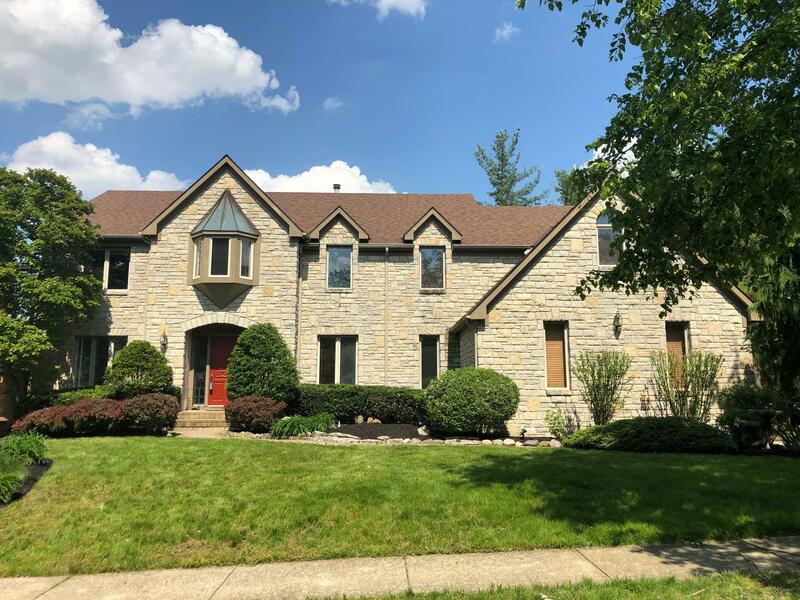 Two staircases offer access to the upper level that has a loft area, master bedroom (with additional small room), master bath with walk in closet, 3 additional bedrooms (1 Jack & Jill and 1 full bathroom in the hallway). The walk-out lower level has a bar, fireplace, full bath and an extra room that could be a great toy room or a craft room. The 4 car garage is a great feature! The back exterior has a deck and a lower level paver patio. Deer Run Elem, Grizzell Middle, Jerome HS.